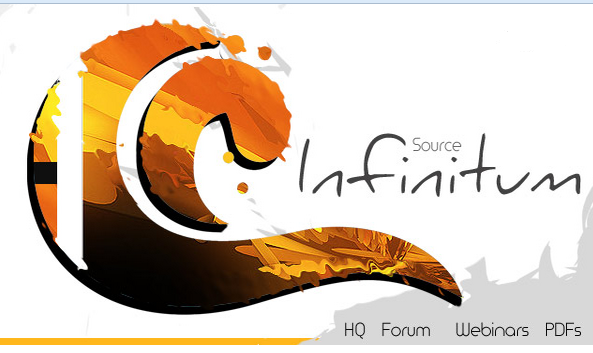 A while back I got tipped off by a friend that Becker over at Source Wave was running a limited time promo on his Source Infinitum membership site. That promo was free for 30 days and then $47 per month after that. And hey, what kind of moron passes up a free SEO membership from a site like Source Wave, right? Spoiler alert: I canceled before the 30 days was up. So, for a month, I was a member. I read Source Wave when I have the time and always feel like Becker gives some pretty solid info on the site. He comes across as the type of guy that you’d like to hang out with after work, right? Honestly, I have nothing bad to say about him personally. I don’t even know him, but that it just how he comes across. I did not attend any of the live webinars, preferring instead to get them when they were posted for viewing. I have been doing this whole SEO and making money online for a while now, so most of what was in these videos was not anything new to me. I did manage to get a few nuggets from them here and there, but that is it. One thing that did bother me about them is Becker’s attitude that he was telling you something that no one else out there knows about. And if you read any other SEO blogs then you have likely already heard of most of the stuff he shares with you. The forum was the real gem for me as I found a link there to get PR Powershot for free. Other than that, it was not a lot of use for me. However, I do think that it would be a valuable program for someone who is just starting out or who is looking for a quick way to get all this info. I mean, it could take a while going through all those free SEO blogs out there to compile all this info. For me though, I’ll just continue reading Source Wave for free when I have the chance. If you want more info on this program, just go to: http://source-wave.com/Infinitum/ Looks like the price is still currently $47 per month for it too. Nice review of source infinitum Henley. I’m fairly new to SEO and am doing my best not to spend money on education in this area unless I absolutely have to. I have found Source Wave (the free blog) to be useful in introducing me to new topics and strategies concerning SEO. I then google those topics and learn more about them from various perspectives. More time consuming, but free as you mentioned. I agree that a lot of the things Alex writes about are not necessarily original, but often times they don’t seem to be all that known either. Again, thanks for the honest write up. No problem. Glad it was of use.